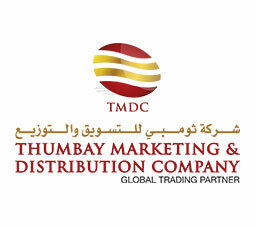 The Thumbay Marketing and Distribution Company (TMDC) is a part of the renowned Thumbay group. TMDC market & distribute products in the Pharmaceutical, Biomedical, Medical, Veterinary, Fashion & Education sector. TMDC envision and aspire to be partner of choice for all the sectors it operates in. TMDC offer marketing, distribution, regulatory and customer-base as a valuable partner in the value chain.